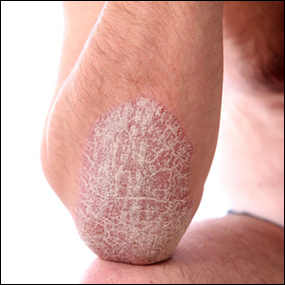 Psoriasis is a disorder of skin called "Ek-Kushtha and by some authors as Sidhma Kushtha" in Ayurveda. It is described in ancient ayurvedic text of Ayurveda called Charak Samhita in the chapter of Kushtha Roga ( Skin Ailments ) and their Ayurvedic treatments. According to Ayurveda, Psoriasis is Vata-Kapha disorder of Skin with involvement of Pitta and other 4 tissues called Rasa, Lymph, Blood and Skin. There are 18 types of chornic skin ailments described in Ayurveda and out of those 17 are said to be curable including Psoriasis. The combination of Skin diseases however can be thousands, but mainly 18 types are serious skin disorders as per Ayurvedic texts. Charak Samhita is an ancient Ayurvedic text which is authored by Agnivesh ( A bright student of ancient sage - Atreya). Agnivesh is also known as Charaka by many. His time is around 1500 BC. So it's about 3500 BC old literature of Ayurveda explaining various complicated disorders including Psoriasis, herbs for psoriasis and various herbal compounds to get rid of Psoriasis permanently. The main focus of the treatment is to normalize Vata- Pitta dosha, clean the blood and lymph and get rid of scales as fast as possible." The treatment gives results within first month of usage and long term use of herbal remedies described in Ayurveda can completely heal the skin. Usually it can take up to 9 months to 1 year but the results are visible within few weeks of treatment. Out of 18 types of skin ailments described in Charaka Samhita ( 1500 BC text on Ayurveda ) 7 are called Major and 11 are called minor skin ailments. Ekakushtha - Psoriasis by some authors and Ichythyosis by some. In my opinion, Sidhma Kushtha should be considered as Psoriasis as in symptoms of Sidhma Kushtha mentioned in Charaka, it is said that the skin becomes whitish, silvery with fishy scales. Sometimes the scales are like copper and they are thin scales. If you rub them, some dust like powder drifts out of them. The scales are like flowers of a gourd family plant. This type of "Kushtha ( Skin Ailment) " usually occurs on upper part of the body. Prognosis of Psoriasis in Ayurveda- In Ayurveda, Psoriasis is mainly considered as Vata-Kapha imbalance disease affecting many other cells / tissues of the body ( mainly skin). It is possible to get very good results and cure it using blood purifying herbs and herbs which work at cellular level to improve skin health and texture. Fortunately, there are many herbs which are working really well in Psoriasis. 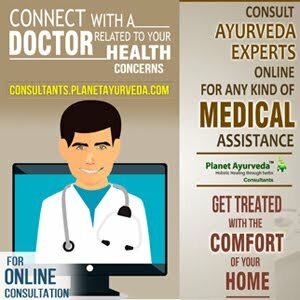 Ayurveda recommends very good diet to be followed in Psoriasis. Following the diet alone can give good results in the patients. Avoid citrus fruits, Long travel, Avoid spicy, fried food, Avoid soft drinks, All sour fruits like lemons, oranges, kiwi, pineapples should be avoided under all circumstances. Avoid Alcohol, Non-vegetarian diet. Butter, Milk and milk products should be avoided immediately. Avoid packaged food and avoid high protein diet. Salt intake should also be restricted. Bitter vegetables like Long Gourd, Pumpkin, round gourd, Bitter gourd, apples, salads, fruits and vegetables ( green leafy). Make 60 packs of equal dosages of all these mineral preparations, consume 1 dosage twice daily, with honey or with milk ( 10-20 ml). ALL this for 3 to 6 months. Please take all the pills with coconut water. Results will be evident within 1st month of usage. Avoid citrus and sour fruits. Write to herbalremedies123@yahoo.com to know price, shipping, delivery and more information about these remedies or talk to us by calling at - +91-172-521-4030 ( If you are in India, you can call at 0172-521-4030 and speak with customer care or Mr. Ashwani Thakur about Prices, Shipping, Delivery information.